Dr. Mary Ann Block, DO is founder and Medical Director of the internationally renown Block Center for chronic health problems in children and adults, located in the Dallas/Ft. Worth, Texas Metroplex. Dr. Block is a best-selling author who confronts establishment medicine with a learned approach to treatments for children and adults alike. Dr. Block is licensed as a Doctor of Osteopathy, having served on the Board of Governors of the American Academy of Osteopathy. Additional memberships include The Foundation of Women Legislator's sub-committee on Special Education and the American Academy of Pediatrics for the diagnosis and treatment of ear problems. Her many books include "No More ADHD, Ten Steps to Help Your Child's Attention and Behavior Problems Without Drugs," "No More Antibiotics, Treating Ear and Respiratory Infections Naturally," "No More Ritalin," and "Today I Will Not Die" - the story of Dr. Mary Ann Block's Mother's recovery from terminal lung cancer. Other media appearances include "48 Hours" on CBS, The "Today Show" on NBC, the "Montel William's Show" and the news networks, CNN and Fox. 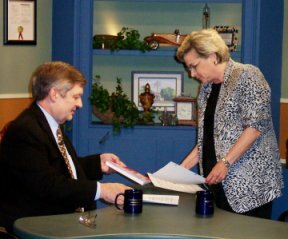 Dr. Mary Ann Block is a member of the Healthy, Wealthy and Wise Television Medical Staff and appears regularly each month as a member of the Medical Staff with Frank Jordan (pictured during a TV episode of HWW at right). The Healthy, Wealthy and Wise Television Show is seen each weekday on the FamilyNet Television Network with a station in your vicinity determined by going to www.familynettv.com and entering your zip code where indicated. Check the HWW Television Schedule for coming appearance dates and topics for Dr. Mary Ann Block on the HWW Television Show. 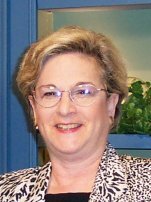 Dr. Mary Ann Block's information website is www.blockcenter.com , with telephone for information on the Block Center at 817-280-9933. The Block Center is located at 1750 Norwood, Hurst, Texas 76054. See Dr. Mary Ann Block, D.O. periodically on the HWW TV Show.